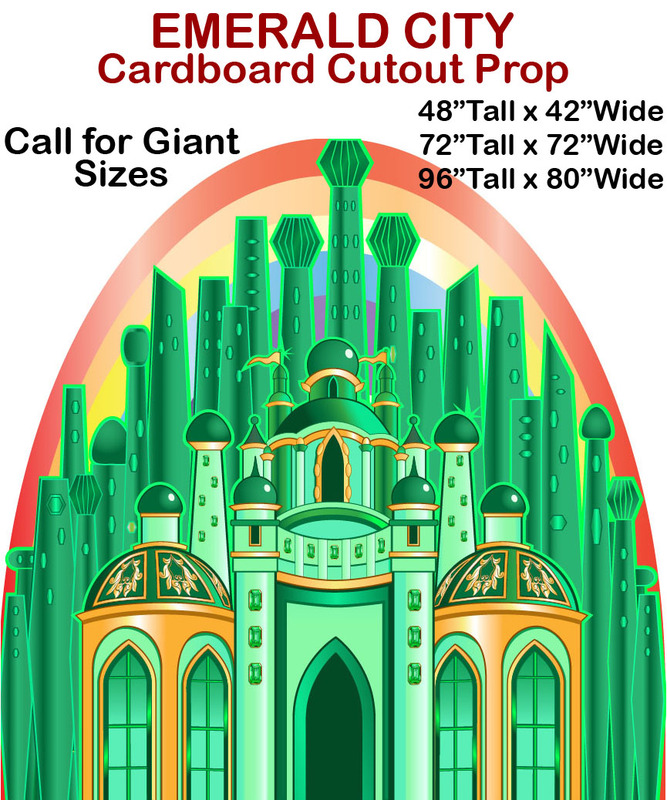 Wizard of Oz Emerald City Entrance Cardboard Cutout Standup Prop - Dino Rentos Studios, INC. The perfect addition to our Emerald City Cardboard Cutout Prop.Take pictures or put at the entrance of your Wizard of Oz themed event! Adds sparkle and theatrics to any Oz production! 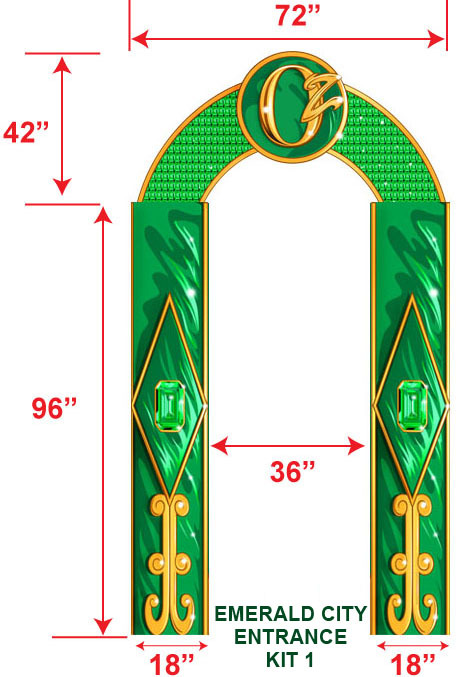 Emerald City Entrance Kit 1 (standard entrance with topper and sides) measures approximately 11.5 feet tall and 6 feet wide. 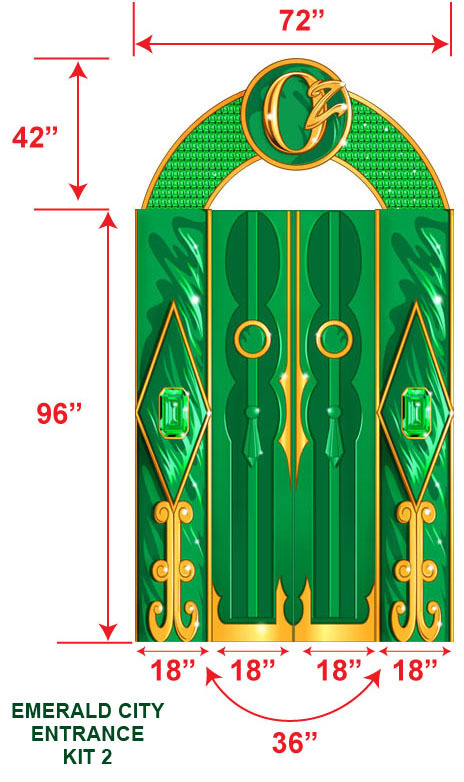 Emerald City Entrance Kit 2 (standard entrance with topper, sides and doors) measures approximately 11.5 feet tall and 6 feet wide. 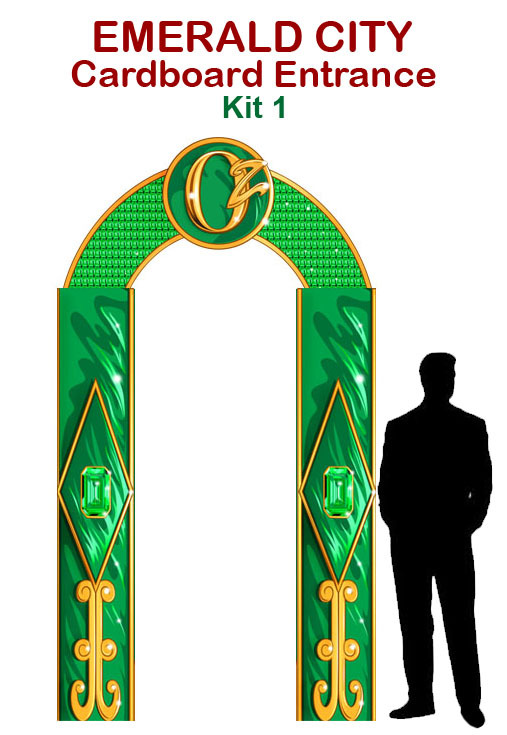 Emerald City Entrance Kit 3 (full kit with entrance, doors and walls) measures approximately 11.5 feet tall and 13 feet wide. Please see graphics for detailed dimensions and measurements of each kit. 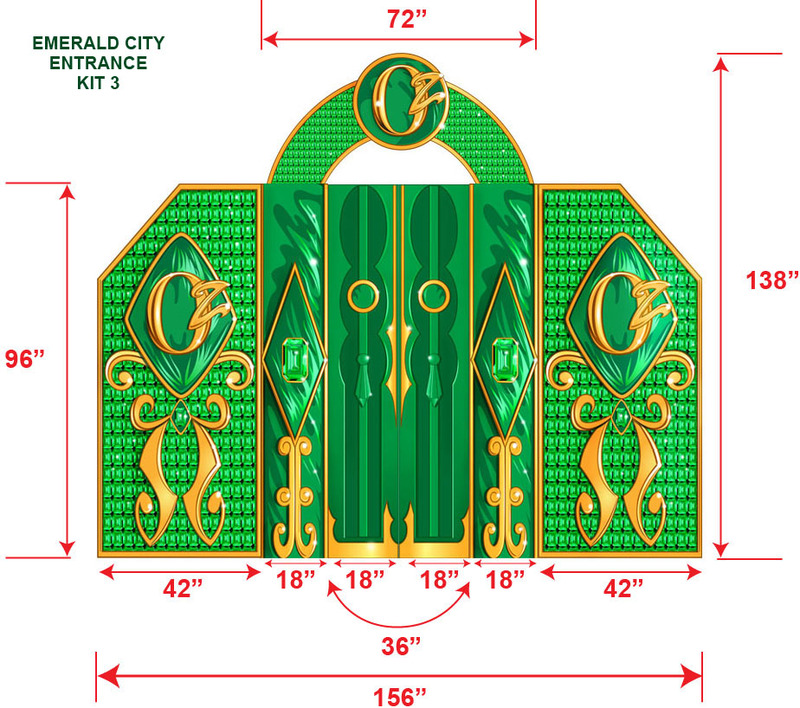 Emerald City Gate Entrance Cardboard Cutout Prop is printed only on the front and is a flat cardboard cutout.